For: 2013 Global Game Jam – Montréal CA – Silver Award. Presented concept and prototype to the Game Jam Jury with the team. 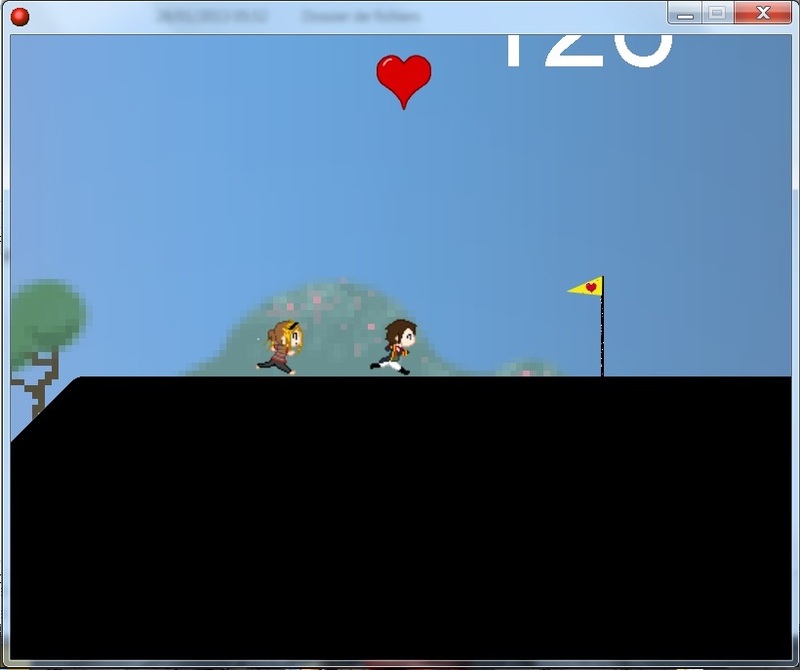 Run Baby Run is a project realized during the 2013 Montréal Global Game Jam with friends. 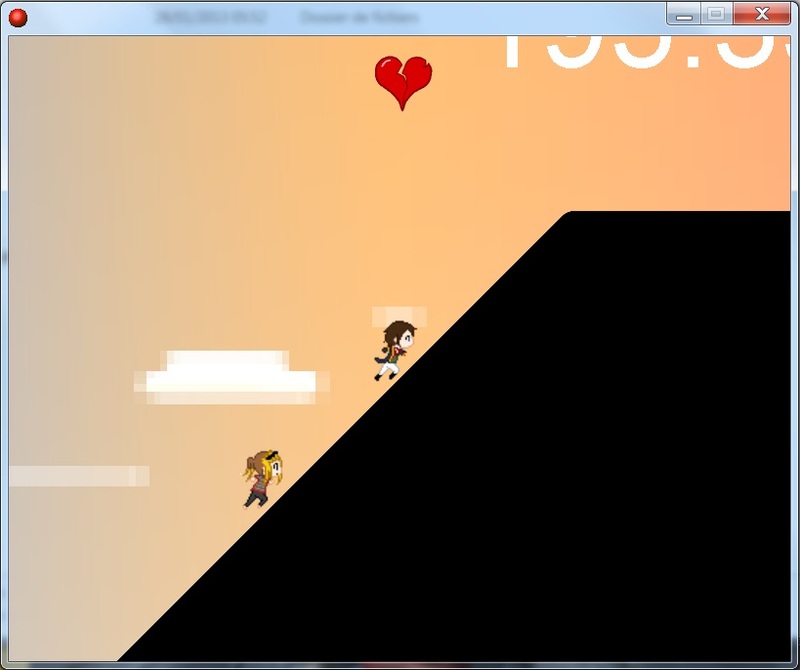 Subject of this GameJam was the sound of a heart beating. The main character is a very shy boy (in the prototype but could be a girl), loved by a girl who runs after him to kiss him. Cool ! But the boy is so shy that if the girl catches him… he faints and the game is over! On the other side, if the boy runs too far from his love, she feels jilted and love desapears: It is also the gameover ! 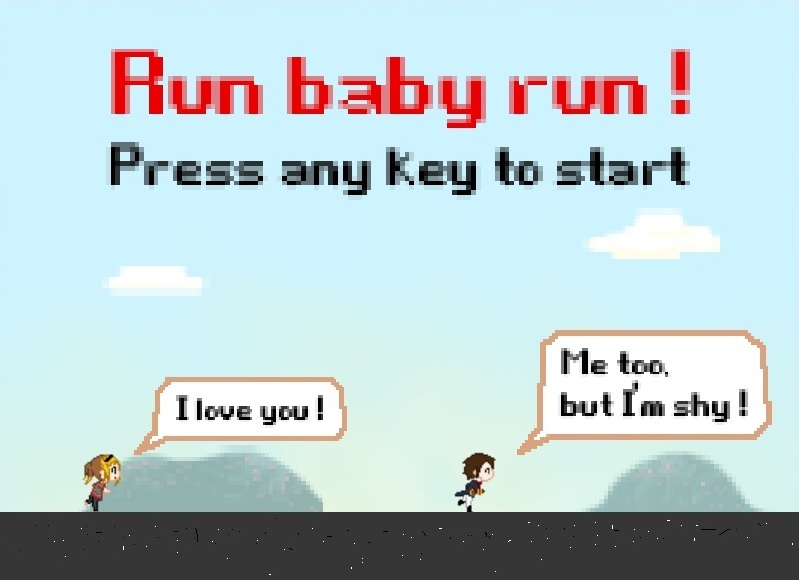 Run Baby Run is a runner game where the player has to manage the distance between his character and his love to finish the level, avoiding the differents difficulties to finaly be kissed at the end, having overcame his shyness. We just had 2 days to create the concept and a playable prototype. Thx to the team! (thx guys, was cool ).